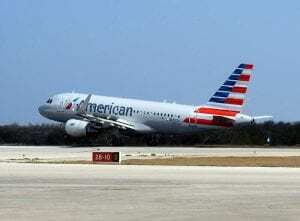 Bonaire gives American Airlines a very warm “Bon Bini” or welcome on their inaugural flight to the island. 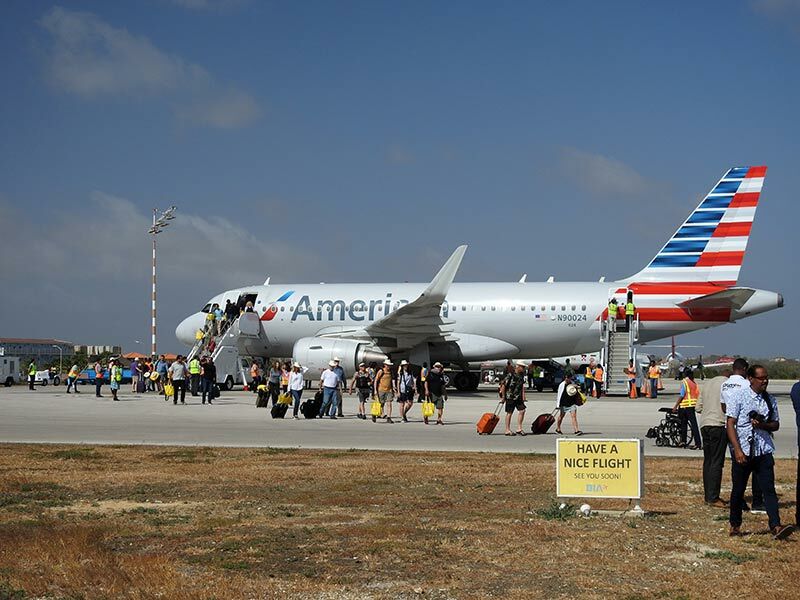 There was definitely a gala, festive energy this afternoon at Bonaire’s Flamingo Airport when American Airlines arrived for the first time in history! 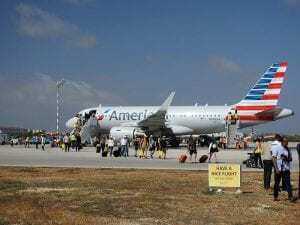 Although the island previously had service via American’s regional carrier, American Eagle, today marked the first time that American landed on Bonaire. Bonaire’s iconic bird, the American Flamingo, joined the passengers on the flight from Miami. With the first flight nearly sold out, there were only a few seats left on the plane. These were filled with life-sized inflatable flamingos, which were subject to the same seatbelt laws as their human counterparts. 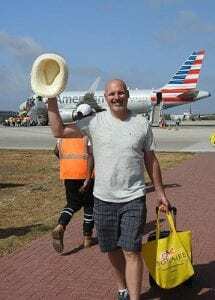 Passengers on this historical flight were plied with gifts–“Bonaire” straw hats, goody bags, and that was just the start! Upon arrival, they were treated to home-made sweets and island fruit punch in take-home Bonaire re-usable cups. The plane arrived on time with a gorgeous Bonaire-blue sky as a backdrop. 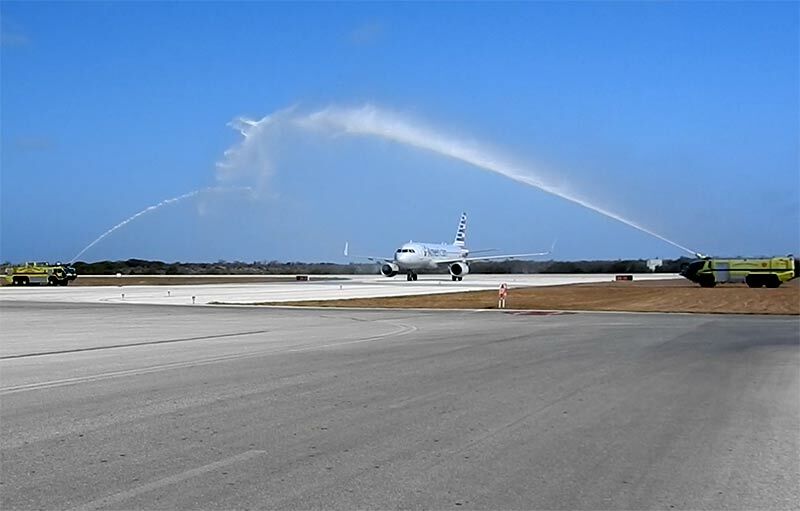 Upon taxi approach to the terminal, a double water cannon salute greeted the passengers and crew. As the plane was taxiing to their parking area, the cockpit crew merrily waved the Bonairean flag and the American flag from their opened windows. Passengers received samples of eco-conscious sunscreen, part of Bonaire’s quest to become the first Blue Destination in the world. 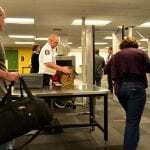 As passengers disembarked, there were many exclamations of, “I love this place!” Even after long days of travel, everyone had smiles on their faces. 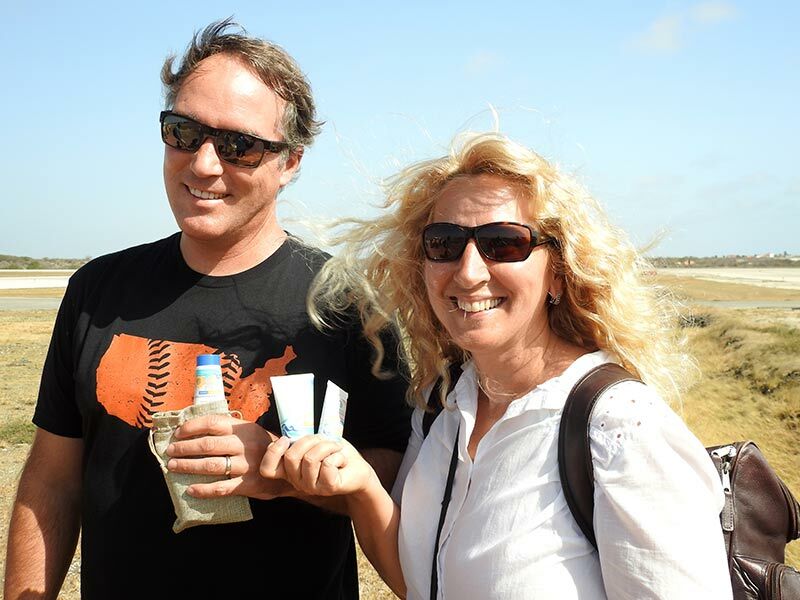 They all carried their goody bags, and passengers Chris and Diane Wightman, from San Francisco, were very glad to see samples of reef-safe sunscreen from Stream2Sea in their goody bags as eco-conscious protection from Bonaire’s tropical sun. 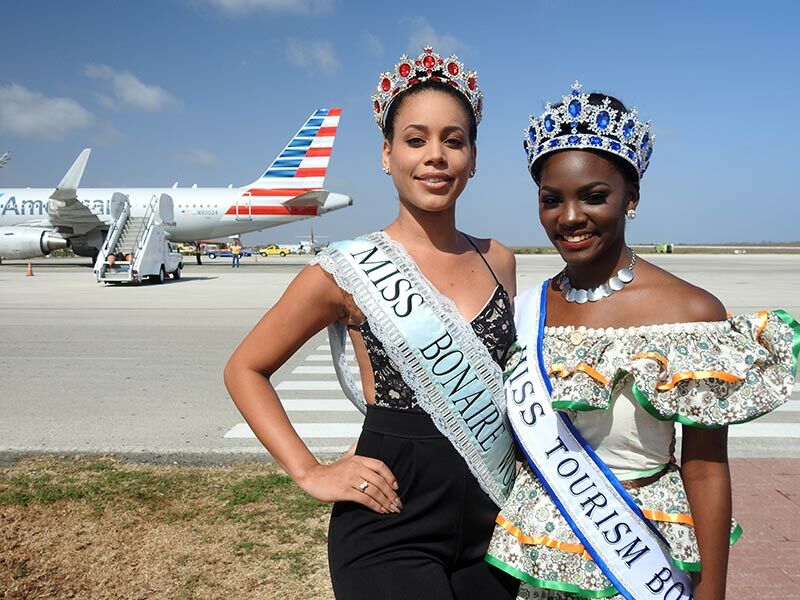 Dignitaries, Miss Bonaire World, Miss Tourism Bonaire, the press, and many colorfully clad local ladies were on hand to welcome the arriving passengers. The arrivals hall was bedecked in American Airlines’ signature red and blue, and everywhere there was a convivial atmosphere, while the arriving passengers enjoyed their fruit punches and sweets, also colored in red and blue. Music was played on the traditional Kai Orgel as passengers were greeted and were transported to their accommodations to begin their vacations. 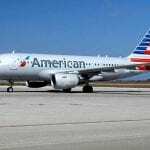 Information on when American Airlines flies to Bonaire. 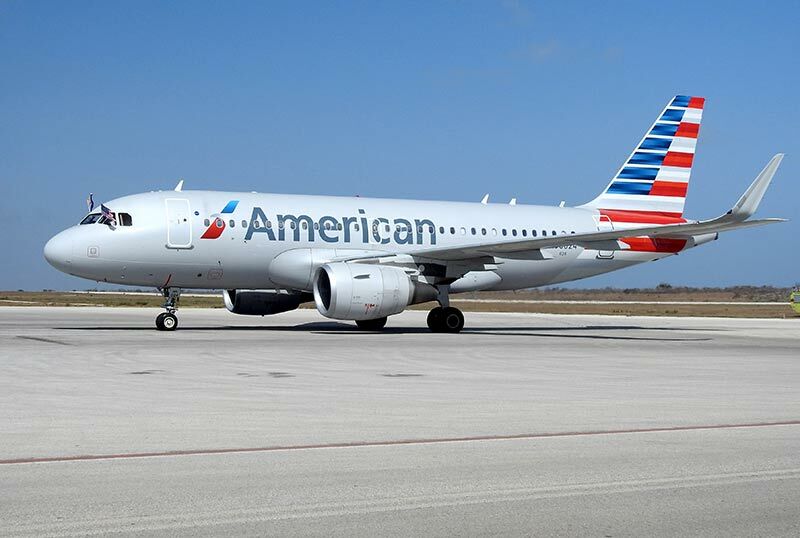 With today’s inaugural flight, American Airlines commences weekly service from Miami to Bonaire, with a return to Miami, each Saturday. 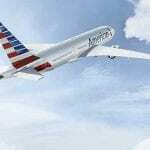 Additionally, from December 15, 2018, through March 30, 2019, American Airlines will fly three other rotations each week, on Mondays, Wednesdays, and Fridays. These flights are operated with an Airbus 319 with eight first-class seats and 120 economy seats. For additional information or to make a reservation, visit the American Airlines website.